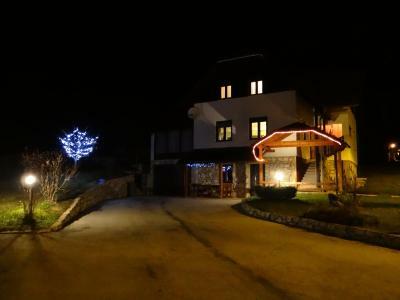 Lock in a great price for Apartments Poljanak – rated 9.3 by recent guests! The super host was very helpful! The breakfast was delicious! Excellent breakfast, great location. Hostess went above and beyond to bring me a much appreciated cold beer after a long days tiring drive. 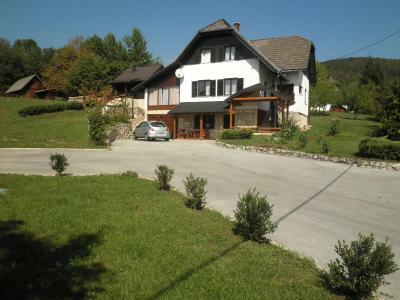 Perfect location, very close to Plitvice national park. The host was very welcoming and helpful, and gave us some extra tips about our hike. Breakfast was very tasty and generous! 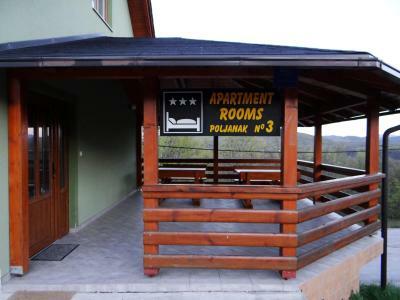 A great place to stay to visit Plitvice. Ana gave us great advice on how to get to the waterfalls and where to go to see the big waterfall from a different view that not everyone gets to see. 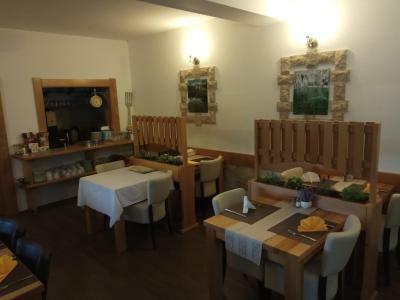 Food at the restaurant is great and has a very homely feel. Excellent service and lovely people. Room is comfortable and had a good nights sleep. There is no aircon so we were given a pedestal fan which was more than enough. We loved our stay. The room was very clean and comfortable, despite the small size. 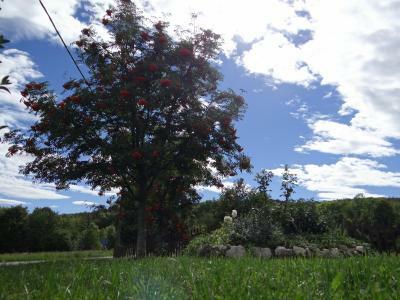 The hosts were extremely helpful and accommodating. 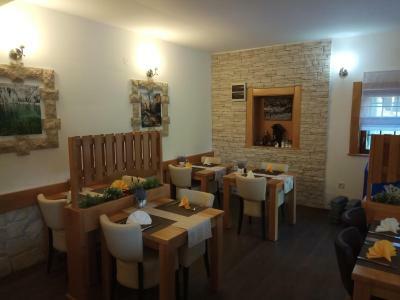 The food in the restaurant was very good. The location is excellent. Restaurant on site which was very nice for being in such a small secluded area. Staff very friendly. Room was nice. Property appeared to be brand new. Very clean and spacious. Included an extensive breakfast buffet with eggs cooked-to-order and homemade crepes at the adjacent restaurant. We had a delicious dinner in the restaurant as well. Ana, the host, was lovely. She arranged transportation to the Zagreb bus stop for us. Nice area, clean room, very nice and friendly owner and tasty breakfast made by the owner. We felt welcomed. Thank you! Everything!!!! Anna, our host, was FANTASTIC!!! She makes a great breakfast and accommodates any other needs you might have as best she can. There is also a nice place to eat supper just across the road. Will recommend this place to friends and family. The owner, Ana, was very nice to us and her hospitality was also excellent. I would highly recommend her service to everybody. 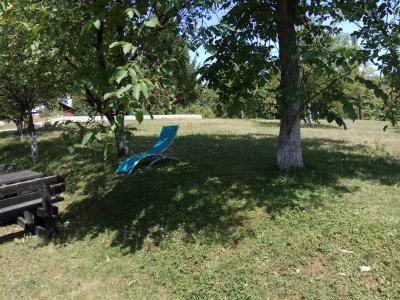 Apartments Poljanak This rating is a reflection of how the property compares to the industry standard when it comes to price, facilities and services available. It's based on a self-evaluation by the property. Use this rating to help choose your stay! 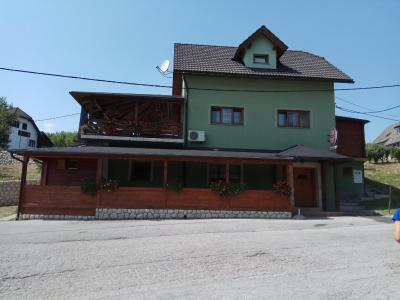 One of our top picks in Poljanak.Located 1.2 mi from the waterfall in Plitvice Lakes National Park and 1.9 mi from the D1 road, Poljanak Apartments offers accommodations with satellite TV and free parking. You can go hiking in the surrounding forests while listening to the sounds of the nearby waterfalls. There are also cycling trails nearby. 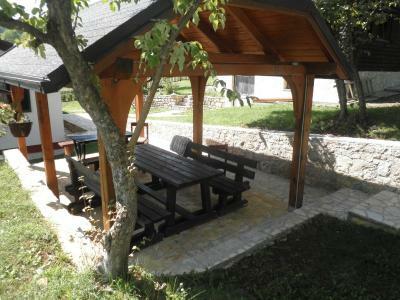 Guests can also go rafting or visit Barac's Caves, which are 5 mi from Plitvice Lakes. Poljanak Apartments consists of 2 buildings - one of them features a terrace with river and canyon views. 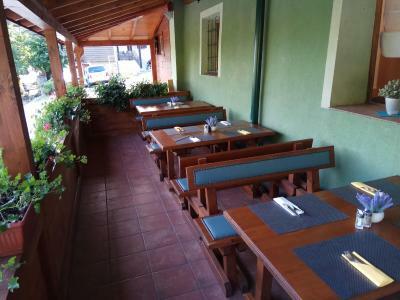 The accommodations units are equipped with solid, locally crafted wooden furniture. 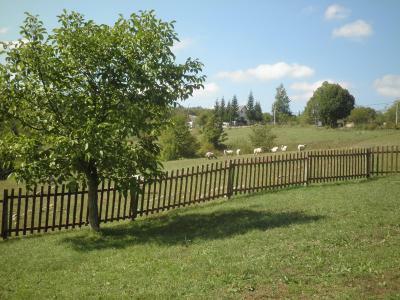 You can start your day with a rich continental breakfast and have a barbecue on the wooden or gas grill. Free Wi-Fi is available in the breakfast room. 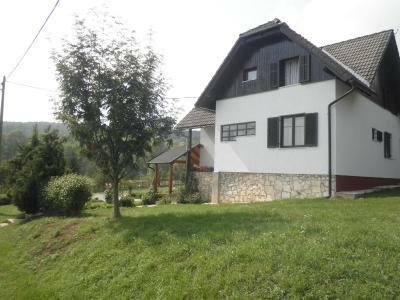 This property also has one of the top-rated locations in Poljanak! Guests are happier about it compared to other properties in the area. 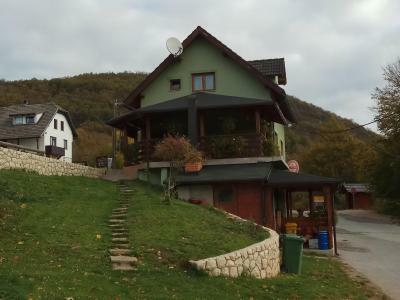 When would you like to stay at Apartments Poljanak? This room features a private bathroom with shower, satellite TV and a seating area. 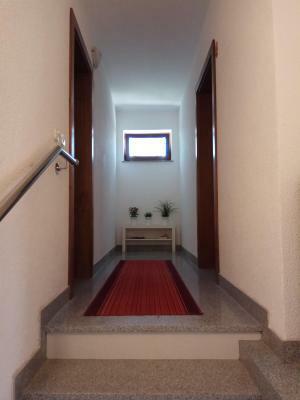 This apartment consists of 1 bedroom, a private bathroom with shower, a kitchenette and a seating area. Satellite TV is provided. This room features a private bathroom with shower, a TV with satellite channels and a seating area. This studio comes with a private bathroom with shower and a seating area. Amenities include an LCD satellite TV. House Rules Apartments Poljanak takes special requests – add in the next step! Debit card Apartments Poljanak accepts these cards and reserves the right to temporarily hold an amount prior to arrival. Apartments Poljanak accepts these cards and reserves the right to temporarily hold an amount prior to arrival. 1st it was quit a distance from Plitvice Lakes costing $100 Kona each way. The closest restaurant was 3 km away. In the room there was a kettle and cups but no coffee or tea. The tiles in the bathroom are very slippery and an accident waiting. The bathroom also had a smell about it. Lastly when came time to leave and pay the owner wanted cash as she only has eftpos in the high season created a major issue as I only had $100 kona on me. Was nice boutique accommodation modern bathroom good bed etc. the owners are very friendly and helpful. 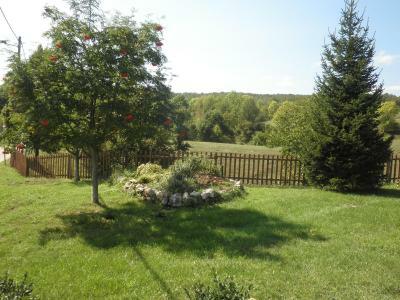 The location of the apartment has very nice views of nature landscapes. Ana, the owner, is extremely kind and was a pleasure to speak with her. She also affords a very taste breakfast. 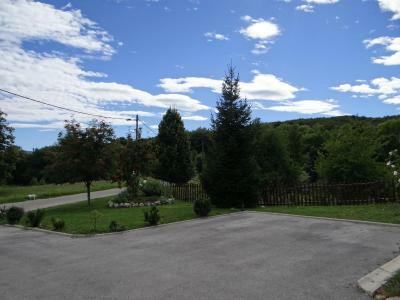 From the apartment it takes no more than seven minutes to arrive by car to the Plitvice park entry. 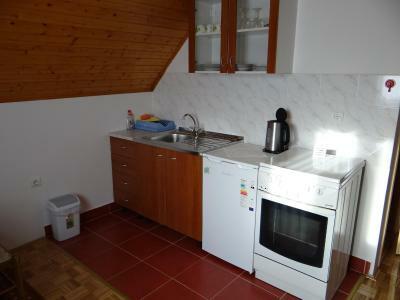 excellent value for money accomodation. I can also confirm that Ana is very kind, she really takes care of her guests. Room was clean, bathroom seemed to be recently renewed. Breakfast is excellent, in addition to the usual salami, chees, bred etc Ana prepares French toast AND scrambled eggs AND pancakes. I intentionally wrote AND - as you get all of them :) Plitvice lakes are not more than 10 minutes drive by car. The rooms were cosy with all the facilities you would expect and a lot of attention put on details. 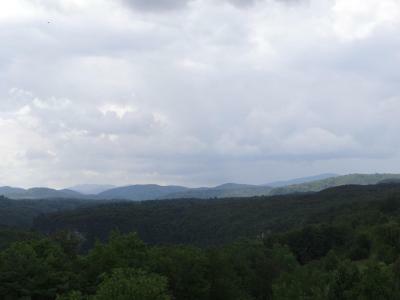 Amazing view over the mountains. The staff were welcoming and gave us good advice on Plitvice National Park. Breakfast was great, fresh pancakes and french toast prepared for us as soon as we sat down, as well as a continental buffet to suit all the tastes. The restaurant where breakfast was served also opens in the evening, do book the lamb for two if you can. 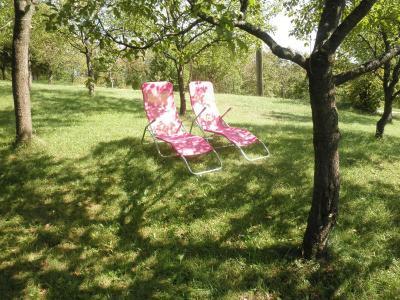 Everything was perfect: the room, the location (15 minutes drive from Plivice Park). Anna, the owner, was amazing. Very helpful, kind, always smiling, accommodate to everything that you need. The breakfast and dinner were excellent!!! 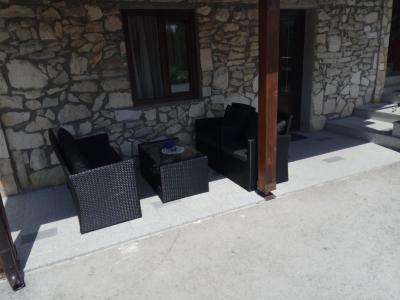 This was the first place that we reside in Croatia, and always compered every place to Anna's place - The best!! Lovely stay at this guesthouse. Ana was very welcoming and did a fantastic breakfast. 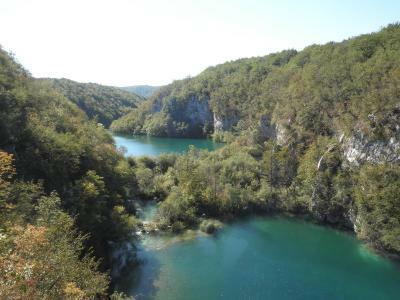 Great location for accessing Plitvice Lakes.